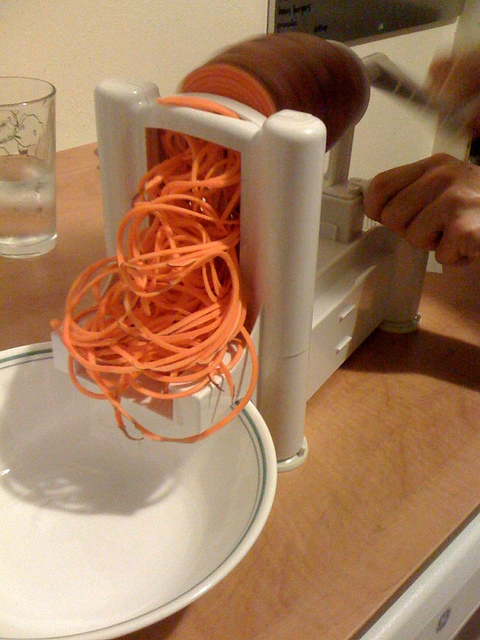 I swear, the spiralizer must be one of the best inventions ever (for food lovers that is). The most popular vegetable to spiralize is courgette (zucchini) but you can use most other vegetables if you’d prefer. It is so quick and easy to make, and if you don’t have a spiralizer you can simply cut the vegetable julienne style, or use a peeler to get a similar effect. This simple food swap makes for a much lower-calorie, low-carb meal, but you can still have the fun of twirling your food onto your fork like spaghetti! Let’s be honest, most of the taste in a pasta meal comes from the sauce and toppings anyway, right? This way, you can get the same taste for a fraction of the calories. Sounds good to me! Rice is by no means unhealthy, but white rice has a very high GI, meaning that it can causes your sugar levels to rise quickly, but then to crash to a low level, leaving you feeling hungry shortly after you’ve eaten. The solution? Eat quinoa. Not only does it have a much lower GI, but it also contains more fibre than other grains and up to 8 grams of protein, meaning that it will keep you fuller for much longer. 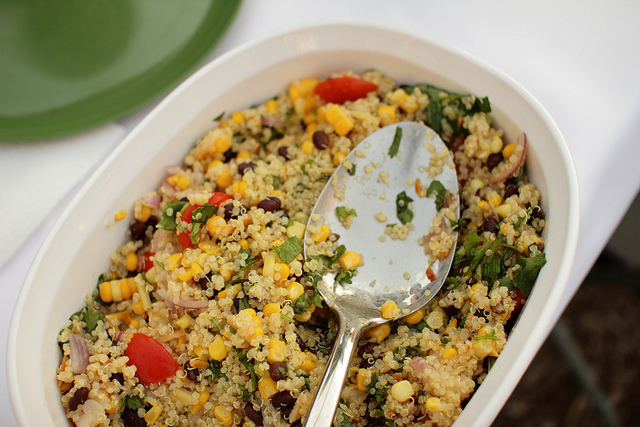 It is also high in amino acids and it’s gluten free- really, you should be asking why you don’t eat quinoa. For me, this is another no-brainer. Sweet potatoes not only have much more flavour than plain potatoes, but they have many added health benefits. They’re high in Vitamins (200 grams of sweet potato has more than twice your daily recommended intake for Vitamin A and half of your Vitamin C) and contain high levels of iron, magnesium and potassium. 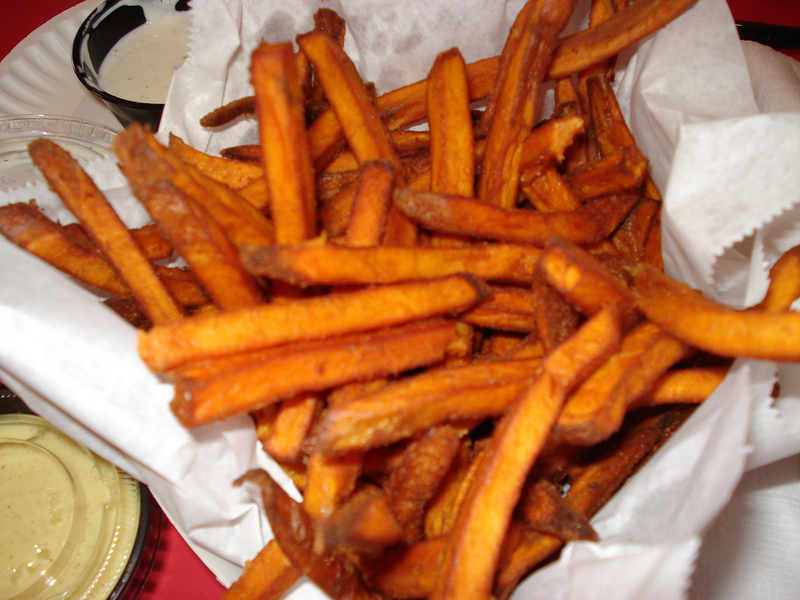 Oh and despite having more taste than regular potatoes, sweet potatoes actually contain fewer calories and lower levels of carbs. Plus, as they are high in fibre, they will keep you fuller longer. So next time you’re buying potatoes, go for the sweet version- you won’t regret it! This is one of my favourite methods to make a meal instantly healthier while saving the taste: it is the easiest way to save on hundreds of calories and to make your meal carb-free at the same time. By taking away the bread part of the meal, you lose none of the delicious taste of the filling, and you’ll lose that bloated feeling you get afterwards. Plus you still get the feeling of eating a real burger/sandwich because it’s still wrapped up nicely in lettuce. Try it and believe me, you won’t regret it. If you are a snacker and can’t resist the temptation of crisps, this is another easy substitution to save calories and load up on nutrients. 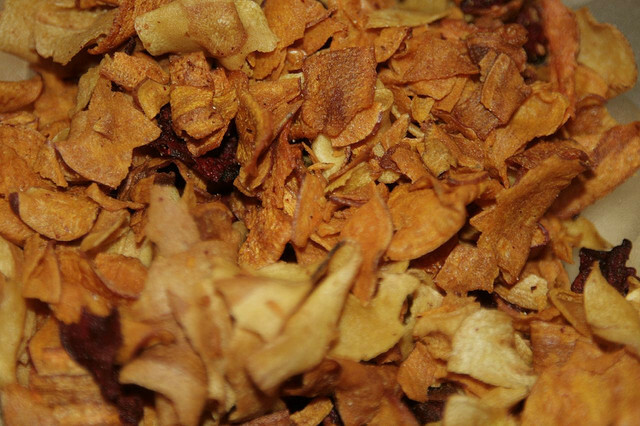 Veggie crisps are lower calorie, lower fat versions of the classic potato snack, but they still give you the same satisfaction. The most popular version at the moment is Kale Crisps, which contain as few as 100 calories per bag, are gluten free and of course, full of vitamins and minerals. To make this snack even healthier, make it yourself! Simply slice up your favourite veggies thinly, drizzle them with olive oil, add any seasoning (although watch it with the salt!) and then bake them in the oven until they’re crispy. Adding chilli is a favourite of mine because it gives the crisps a little kick. Mmmm. Ok, so we all know how unhealthy fizzy drinks are- full of added sugar, artificial sweeteners, too much caffeine and additives- and the sugar-free versions are just as bad for you. I used to be a diet-coke addict, until I realised that it was giving me headaches and wreaking havoc with my sugar levels. So, I made a change. I know that sparkling water on it’s own isn’t the most pleasant thing, but honestly once I got used to it, I began to enjoy it. 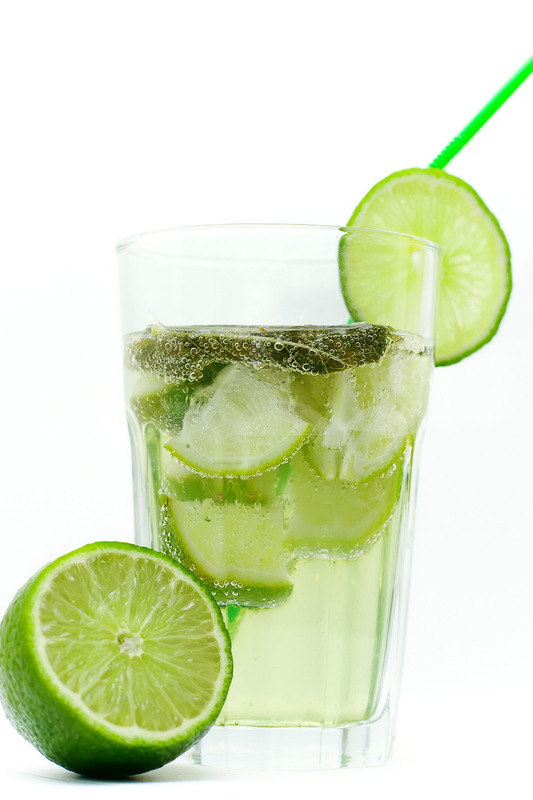 Plus, adding some lemon, lime or any other fruit of your choice adds so much flavour that it actually becomes pleasant to drink! Top tip- chop up the fruit/s of your choice and put them in a pitcher of sparkling water for about an hour for the flavour to fully develop. Keep the pitcher in the fridge so it’s nice and cool when you drink it. 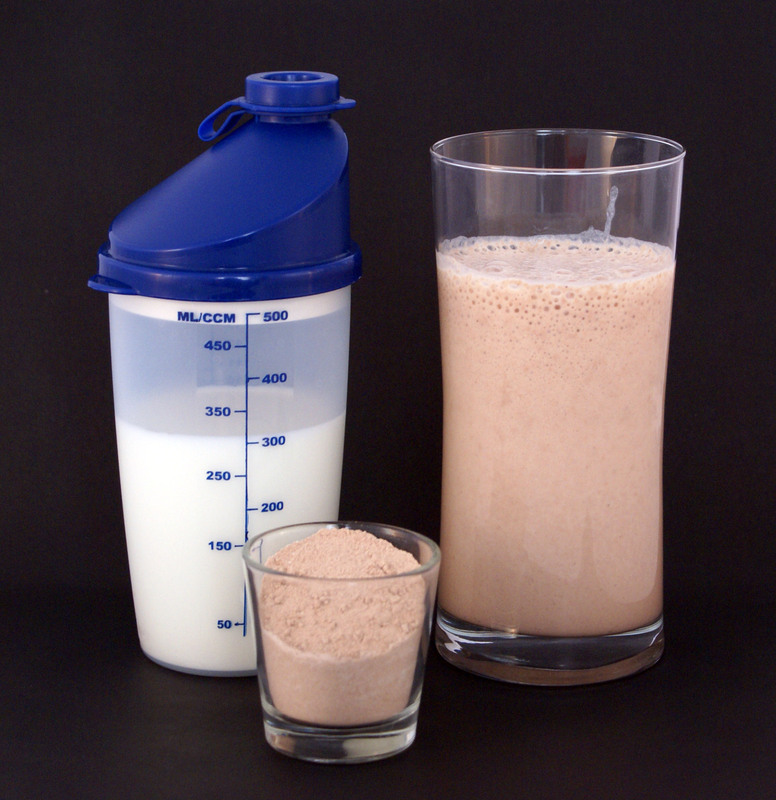 Whether you want to cut out the empty calories from drinking too much soda, or avoid the unhealthy additives, this is the easy solution for you. Regular mayonnaise is full of unhealthy fats- nearly 80 g per 100 grams and high in calories- over 700 kcal in 100 grams. Avocado on the other hand has less than 200 kcal in 100 grams and less than 20 g of fat. If this doesn’t already persuade you, then you should know that avocados are full of healthy fats, a good source of protein and fibre, and are low in sugar. 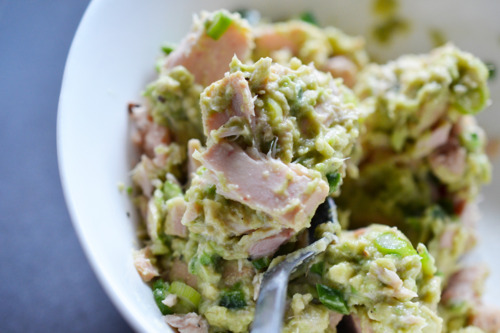 So how about next time you fancy tuna mayonnaise, mix the tuna with some avocado instead- you will get the same creamy texture and rich taste, but minus the unwanted fat and calories. For anyone who doesn’t like avocados, here is another easy substitution for the dreaded mayonnaise. Find a natural/ Greek yoghurt to mix with your tuna instead. 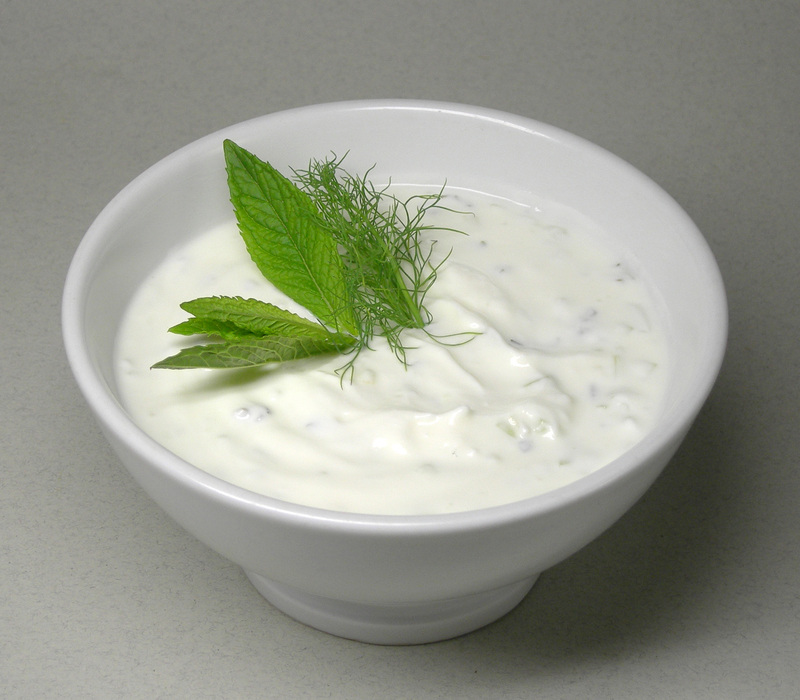 Yoghurt contains less than 130 kcal per 100 grams but will still provide the same texture that mayonnaise does. Just make sure you don’t buy a yoghurt which has too much added sugar; go for as natural as you can! 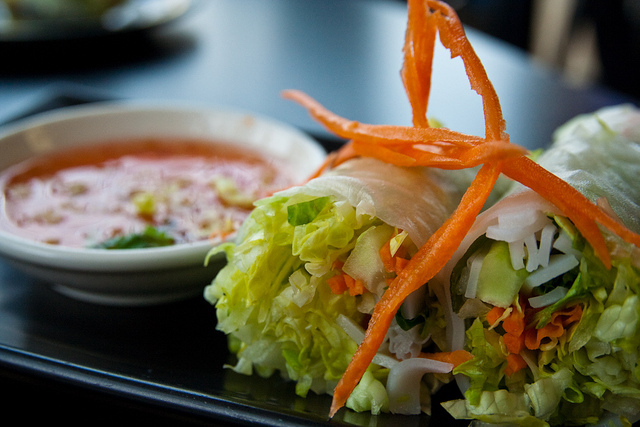 There’s no denying that spring rolls are delicious, but because they’re deep-fried the calorie value automatically increases. An easy way to counter this? 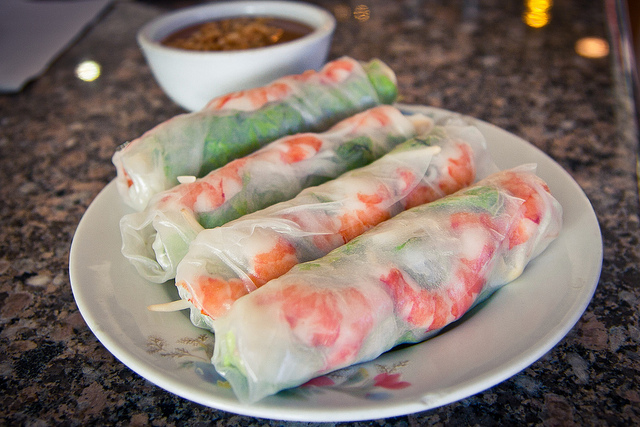 Go for rice-wrap rolls instead. This way, you can still enjoy the taste and delightful fillings but for half the calories (and less fat content too). Finally, a way to enjoy takeaway guilt-free! Ok, this takes a little effort, but only a little, I promise. And the easy subsitution means that you can enjoy ice cream which is low-calorie, low-fat and low-sugar, which is pretty amazing in my opinion. All you have to do is cut up some bananas and freeze them. When they’re frozen, blend them- this can take a little time, but persevere, it’s worth it in the end! When they have blended into a creamy mix, simply mix in whatever other ingredients you like! Peanut butter, cacao powder, cinnamon, fruit, honey, nutella (if you’re feeling a bit naughty). Voilla! 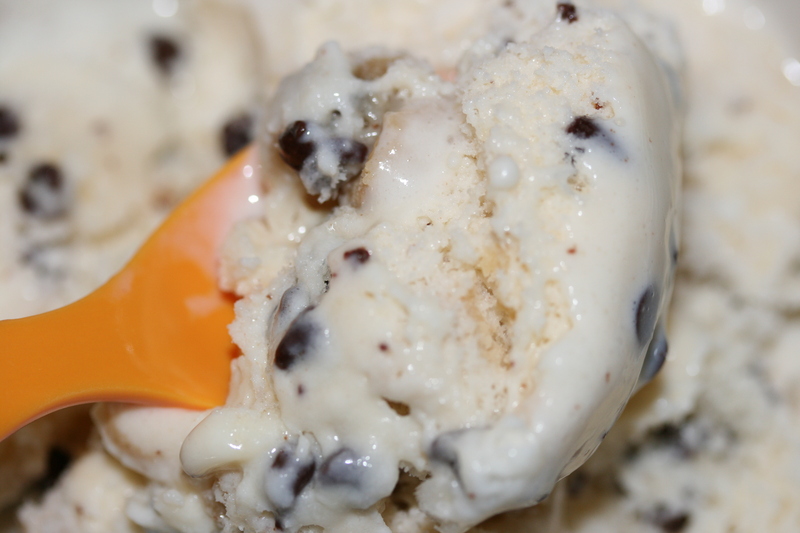 Healthy ice cream… who would’ve thought it! Shop-bought yoghurt can be full of sugar, artificial flavourings, additives, etc. So, why not buy natural yoghurt and flavour it yourself? It couldn’t be easier. Buy some natural yoghurt (as I said before, make sure there isn’t loads of added sugar) and then simply add what you like. If you’re a cinnamon lover like myself, I would recommend this for a start! 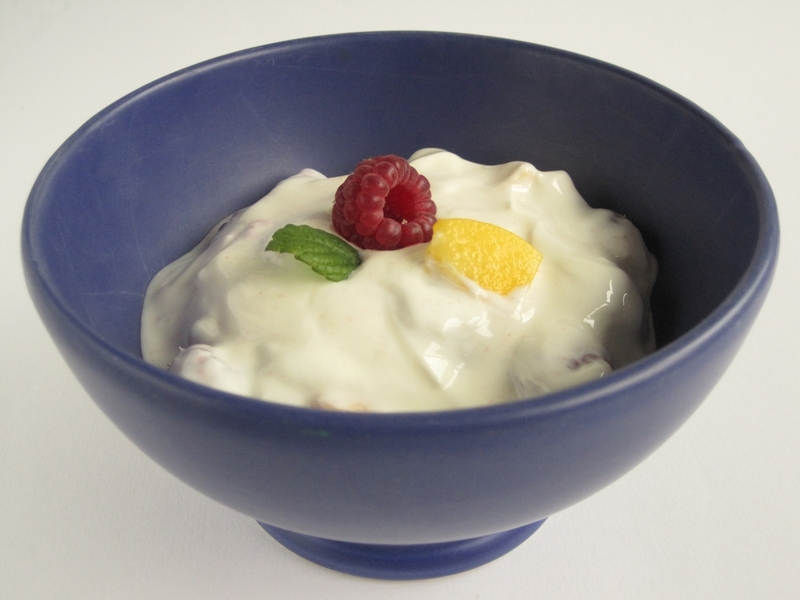 It adds delicious flavour to the yoghurt, but it’s much healthier and lower in calories. If you have the time, you can also add fruit a little in advance so that the flavour properly sinks in. Another quick, easy option for a healthy dessert. Yes, it’s tempting sometimes when you walk past a McDonald’s or a cafe and you really fancy a refreshing milkshake, but you just know how calorific and full of sugar and fat they are. So, why don’t you make your own healthy version? Use yoghurt or milk instead of ice cream, real fruit instead of flavoured syrups, and you can even add your own touches such as honey or peanut butter if you wish. These are some of my favourite ways to avoid over-indulging and to still enjoy my favourite foods. And I have one last tip which works in numerous different recipes to substitute sugar- use my favourite new ingredient, the increasingly popular Stevia. While I’ve found that in it’s powder form it can have a bit of an odd after-taste, there is a liquid version which is just amazing. I mainly use this to add to my porridge but you can use it however you like- add it to baking, coffee, smoothies, whatever you like. It’s available from www.iherb.com, and comes in many different flavours. In case you were wondering, vanilla and cinnamon is my favourite! I hope this has given you some ideas of how to make your food healthier and cut back on calories, but not on flavour. Happy eating!